In his classic investment book, “Winning the Loser’s Game”, Charles Ellis asserts that the winner of an amateur golf tournament is often the player who makes the fewest mistakes, shuns risky shots, and avoids penalty strokes. Investing in corporate credit risk has often been referred to as a Loser’s Game – you win by making the fewest mistakes. For banks, the upside of investing in a commercial loan is the profit made from interest, fees, and the return of the principal. The downside is losing it all. Just like in amateur golf, it doesn’t take many mistakes in your credit portfolio to negatively impact operations and the overall profitability of the bank. In their loan portfolios, bankers are playing two games – originating new loans and managing portfolios of existing loans. Not only do they need to avoid “risky shots” when putting new loans on their balance sheets, they also need to avoid “penalty strokes” with continuous monitoring of the changing risk profile in their portfolio. When you identify changing risk profiles, you can act. If the risk profile is getting worse, you can take action to avoid or mitigate the risk. If the risk profile is improving, you can take advantage of potential opportunities. Evaluate Financial Health at Scale – Loan portfolios contains thousands upon thousands of individual loans. Credit portfolio managers need a consistent, objective, and accurate measure of the financial health of their borrowers – and a measurement that can evaluate loans at scale. Monitor Portfolios Continuously for Changes in Risk - The earlier you can identify negative trends and outliers in your credit portfolio, the more time you have to mitigate those risks. Credit portfolio managers need to leverage tools to turn data into actionable information that drives plans to avoid and reduce losses. Leverage Portfolio Trends to Improve New Loan Origination - While credit portfolio management is focused on the loans already in your portfolio, this analysis can be used to reduce lending limits in poorer performing and higher risk segments, while maximizing opportunities to onboard new loans in better performing and lower risk areas. Watch our webinar on demand to understand more strategies to proactively manage the risk in your credit portfolio. The primary source of repayment on commercial loans is the future cash flows generated by the day-to-day operations of the business. Portfolio managers need to understand whether a company will be able to pay back its loan, and that’s dependent upon how financially sound the company is. When analyzed in a consistent and quantitative manner, the financial statements of both public and private companies provide the most reliable and accurate forecast of both the short and longer-term future performance of the organization and their ability to service their debt obligations. 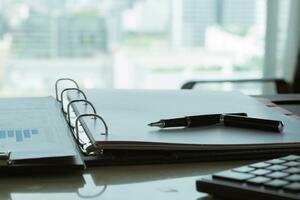 Many mistakenly think financial statements are only backward looking. On the contrary, they contain myriad indicators of how well a company is run, how efficient and resilient it is, and how well positioned it is against global industry peers. 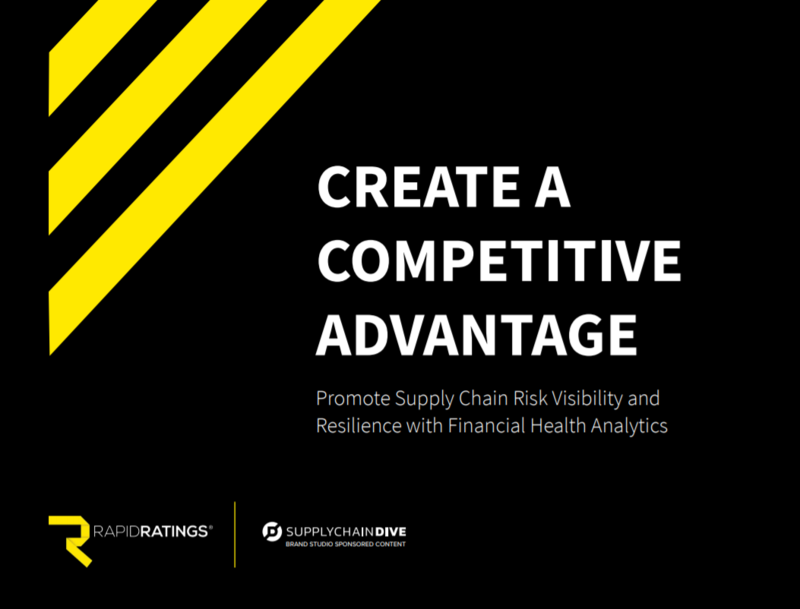 Credit managers need a consistent and scalable evaluation of financial health, such as the Financial Health Rating, to efficiently manage risk. Most credit defaults don’t happen overnight – typically, there are signals in the company’s financial performance. Credit managers can minimize losses by actively monitoring and mitigating financial risk with enough warning. This early warning is evident when analyzing core, fundamental financial ratios measuring operating and net profitability, as well as cost structure and capital structure efficiency. Deteriorations in these types of ratios can often be seen a few years in advance of a credit default event. Often, companies can work through those deteriorations with strength in liquidity, leverage, and coverage. When companies can’t recover from problems in their core financial performance, their overall financial health weakens, and credit default events occur. By understanding the core financial health of all the companies in a loan portfolio, areas of increasing risk can be identified earlier, providing more time to develop and implement mitigation strategies, and hopefully avoid losses. Not only is it important to understand the risk level of individual loans, it is critical to understand the overall risk in your portfolio, and by industry sector. The graph below shows the average Financial Health Rating (FHR®) for a bank’s overall Commercial and Industrial (C&I) loan portfolio from 2005-2017 along with three industry sectors within it that have changing risk levels. The average FHR on the portfolio has improved steadily since it bottomed out in 2009 during the Great Recession. Interestingly, each sector had its lowest average FHR at different times during the Great Recession showing the importance of including industry in your commercial credit portfolio management. The two manufacturing sectors are currently out-performing the portfolio, but NAICS 33 has been declining since 2014. The Wholesale Trade sector has been under-performing the portfolio over this entire time period and has been declining since 2015. Looking closer at the Wholesale Trade sector in this next graph, the average FHR and Core Health Score (CHS) are both currently declining. The average CHS has been declining since 2012 even though the average FHR continued to improve through 2015. This shows that, on average, the companies in this sector had strength in their Resiliency Indicators (i.e., liquidity, leverage, and coverage) that allowed them to manage the declines in their core fundamentals (i.e., profitability and efficiency). However, by 2015, they had used up this Resiliency and their overall FHR started to decline. The declines in the Wholesale Trade sector need to be acted upon. The next step is to dig deeper into the composition of the sector to determine if the declines are a result of a few large borrowers with declining financial performance or an endemic problem across this entire portfolio segment. Armed with this information, a credit portfolio manager can develop an action plan for underperforming borrowers, lower lending limits in this sector, and raise lending standards for new loans. In addition, the improving financial health in the NAICS 33 Manufacturing sector might represent a growth area for the bank. The credit portfolio manager can alert the front-office lending teams to seek out new loans within this sector.